Bonita 44, Los Altos 32 — Jake Payton with a monster night, six touchdowns to knock Los Altos from title contention. Diamond Ranch 47, Walnut 0 — How dangerous will the Hacienda League champions be in the Southeast? Mountain View 42, El Monte 27 — Gets worse for Lions. Can’t believe how tough it is for a team that had one of its best years in school history just a year ago. Rosemead 22, Gabrielino 21 — The Eagles nearly spoiled the Panthers’ undefeated march toward Arroyo. Arroyo 42, South El Monte 0 –– Knights a win away from league title and possible No. 2 seed in Mid-Valley. Duarte 55, Bassett 37 — The Olympians can look on the bright side, if it beats Azusa next week it ties for the league title and enters the playoffs as the Montview No. 1. Ganesha 42, Gladstone 29 — Just like El Monte, Happy Rock bottoming out. La Puente 31, Workman 28 — As close as a rivalry should be. 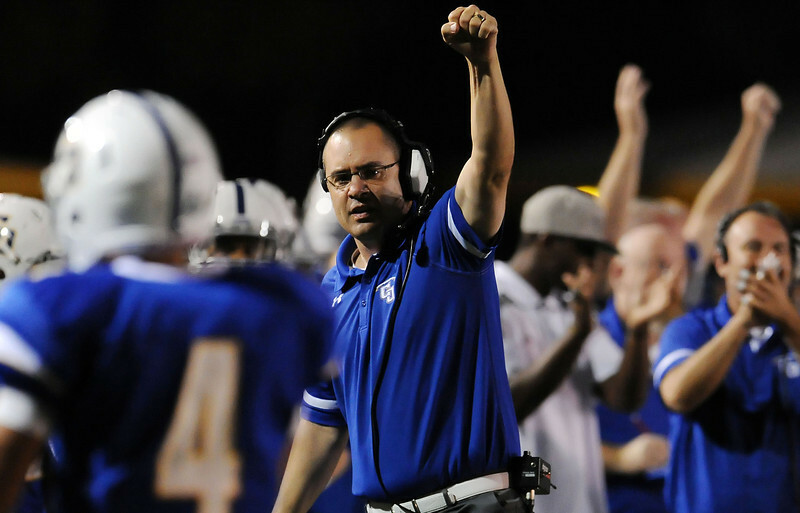 Crespi 37, Bishop Amat 30 — Amat knocked out of the playoffs for the first time since coach Steve Hagerty took over in ’08. Charter Oak 21, Ayala 7 — Chargers leave the Sierra in style, with three straight league titles. Chino Hills 70, Claremont 49 — How do you score 49 points and lose by 21? South Hills 42, Damien 24 — If the Huskies beat Ayala next, they make the playoffs and eliminate Damien. Unbelievable. Spartans playoff hopes bleak. Pomona 51, Nogales 6 — Red Devils set up dream week 10 finale against San Dimas. Northview 42, Baldwin Park 21 — Northview locks up a playoff spot with the win. 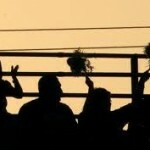 San Dimas 49, Covina 14 Will the Saints show Pomona who’s boss? 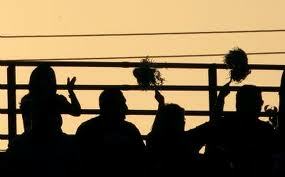 STORY: The Glendora High School football team had its hands all over the ball Thursday night. Except when it counted the most. The Tartans tipped passes, were right there when Los Osos fumbled the ball and constantly surrounded the Grizzlies on defense. But when it counted the absolute most, Los Osos quarterback Jacob Crain completed a 10-yard touchdown pass to Durron Burton with 8 seconds to play to give Los Osos a 27-26 Baseline victory at Citrus College. The CIF-Southern Section just sent out a press releasing announcing its plan of open divisions for boys and girls basketball. It sounds good, putting the top teams in the second in one bracket. Hopefully, it allows teams who had no chance otherwise to compete for playoff glory. According to the release, the open division teams will not be announced until after the regular season. Glendora’s Jerry Lewallen (Hard-hat kids with shocking wins over area foes). Arroyo’s Jim Singiser (One of the best coach quotes in the Valley has them winning again). Diamond Ranch’s Roddy Layton (Trying to go undefeated in competitive Hacienda). Rosemead’s Marc Paramo (Nobody thought they would only have one loss this late in the season). 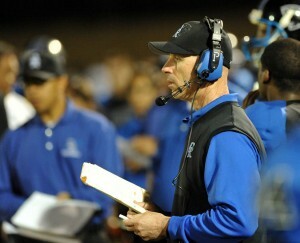 San Dimas’ Bill Zernickow (Great turnaround from a horrendus start). Charter Oak’s Lou Farrar (Coaching IS the reason the Chargers are about to win another Sierra League title). 1. Charter Oak (4-4) — I sat in the PrepXtra studio on Friday and thought seriously of making Charter Oak No. 1 despite its .500 record because it’s playing better than anyone at the moment, and beating solid teams, like Los Osos and Chino Hills. I know they lost to Bishop Amat, and they’re winning in the Sierra, not the Serra. But you have to reward hot, and the Chargers are just that. Hot. 2. Bishop Amat (5-3) – Let’s face it, Bishop Amat blew its chance last week to control its own destiny against Alemany and now it has to win at Crespi on Friday to keep its slight playoff hopes alive. Amat has never been that great away from home, so if it has any tricks up its sleeve, now’s the time. 3. Chino Hills (6-2) — The Huskies know by losing to Charter Oak they will not win the league title because Charter Oak isn’t losing to Ayala or Claremont to finish the season. But who’s chances do you like better in the Inland playoffs, Charter Oak or Chino Hills? It’s close. 4. Glendora (6-2) — What happened to the blue-collar 6-0 start? Rancho Cucamonga and Etiwanda is what happened to it. Glendora’s better than everyone expected. But they’re not that much better than everyone expected. 5. Diamond Ranch (7-1) – The Southeast Division’s second ranked team found a way to get past Rowland despite 19 suspensions. All that stands in the way of an undefeated league title run are Walnut and Bonita. I say they run the table. 6. 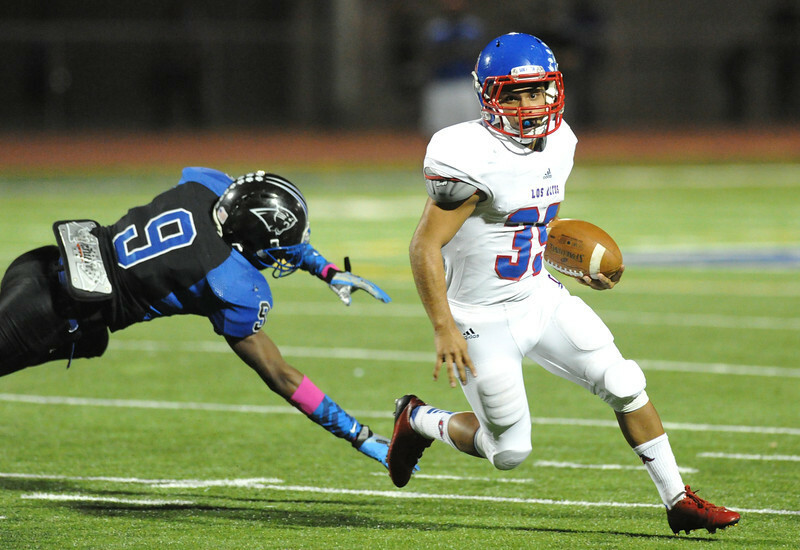 Los Altos (7-1) – You find out how good Los Altos is the next two weeks against Bonita and West Covina. We don’t talk about them enough for a one-loss team, but if they sweep their final two, I’m jumping on the wagon. 7. 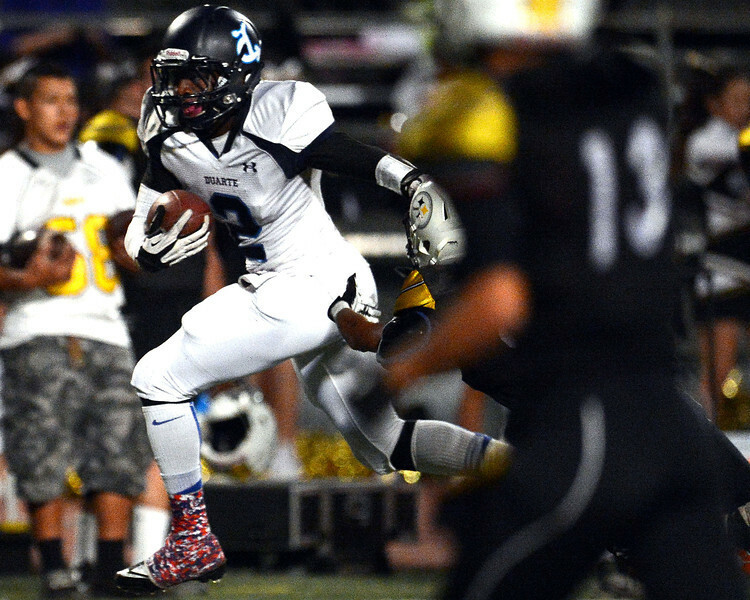 Arroyo (6-1) – I’m starting to wonder if the Knights are serious Mid-Valley contenders. I’m not saying they’re better than Monrovia, but I’m starting to think they might be able to give them a game. 8. Pomona (9-0) — For the time since I’ve done rankings, Pomona is in the top ten and deservedly so. I can also tell you right now when they play San Dimas in Week 10, I’m taking the Devils. 9. Bonita (5-3) — So many thought the Bearcats would win the Hacienda after adding Jake Payton, but they’re in a fight just to make the playoffs. They’re good, but shouldn’t they be better than this? 10. San Dimas (4-4) — I guess I could call the Saints the Boys of September and Men of October, just like Charter Oak for starting 0-4 and going 4-0. But the Valle Vista allows you to do that more than being hot. And truth be told, they haven’t played the hottest VVL team yet, Pomona. The Rest: 11. Diamond Bar (5-4); 12. Damien (4-4); 13. Rosemead (7-1); 14. South Hills (3-5); 15. Ayala (3-5); 16. West Covina (5-4); 17. Baldwin Park (6-2); 18. Azusa (6-2); 19. Northview (6-2); 20. Bassett (5-3); 21. La Puente (5-3); 22. Duarte (4-4); 23. Claremont (1-7); 24. Covina (4-5); 25. Mountain View (3-5); 26. Walnut (2-6), 27. Rowland (2-7); 28. South El Monte (2-6); 29. Sierra Vista (2-6); 30. Nogales (2-6); 31. Gladstone (2-6); 32. Workman (3-5); 33. El Monte (1-7); 34. Ganesha (2-6), 35. Wilson (1-8). Aram Tolegian and I will go head-to-head picking football games throughout the season. He edged me out the past two seasons, but it’s not happening this year, not when we’re playing for a Slater’s 50-50 burger. Last Week: No blood between Aram I. We missed the same three games, taking Amat over Alemany, Bonita over West Covina and Glendora over Etiwanda. Aram also lost taking South El Monte over Gabrielino, then reminded me on Friday night after the game had been played that I forgot to make a selection on it. He could have told me before, but that’s how the betting mind of Tolegian works, he’ll steal wins any way possible. In any case, I told him I’d take the loss on it so I’m still up 2 headed into week 9. This week’s games and predictions Best chance Amat has of getting in the playoffs are with wins over Crespi, Loyola, which would be good enough for at least a tie for third assuming Alemany and Notre Dame finish first and second. Then you still have to earn an at-large, a tough place to be in. A loss this week would eliminate the Lancers from playoff contention, but I’m not ready to write them off yet, take Amat over Crespi and the Guru. Los Altos at Bonita is a toss-up with playoff implications for both and others trying to sneak in, such as idle Diamond Bar, paying the price for last week’s brawl with a forfeit to Rowland. Los Altos has been the most consistent and needs to show an ability to win big games, which is why I’m taking them. It’s time. The Bassett story is an exciting one. Here’s a team that started 0-3 and you’re thinking, typical Bassett season. But they’ve run the table in the Montview and are 5-0 heading into a showdown vs. Duarte. If Bassett wins, it likely faces Azusa next week for an all-out, winner take all for the Montview. I’m not betting against that, take Bassett. PREPXTRA: We discuss Amat’s time management in loss to Alemany, plus Inland Insider’s highlights, interviews … So, who’s No. 1 in Trib? JUST TRIBBIN: One of the Just Tribbin thoughts of the weekend is who I will make No. 1 on Monday? Charter Oak, Chino Hills, Bishop Amat, Glendora, Diamond Ranch, Los Altos? Pomona? I said on the show it should be Charter Oak, even though they’re 4-4, and got clowned by Aram. Even Stevie was laughing. It’s a tough one. Your help, your thoughts?